Admittedly, I’m an aviation geek, and do seek out new flight experiences when I can. Much of my travel is for business, but sometimes I can still have some fun experiences. In this case, a high-speed train, rather than a plane was the fun travel experience that I had. 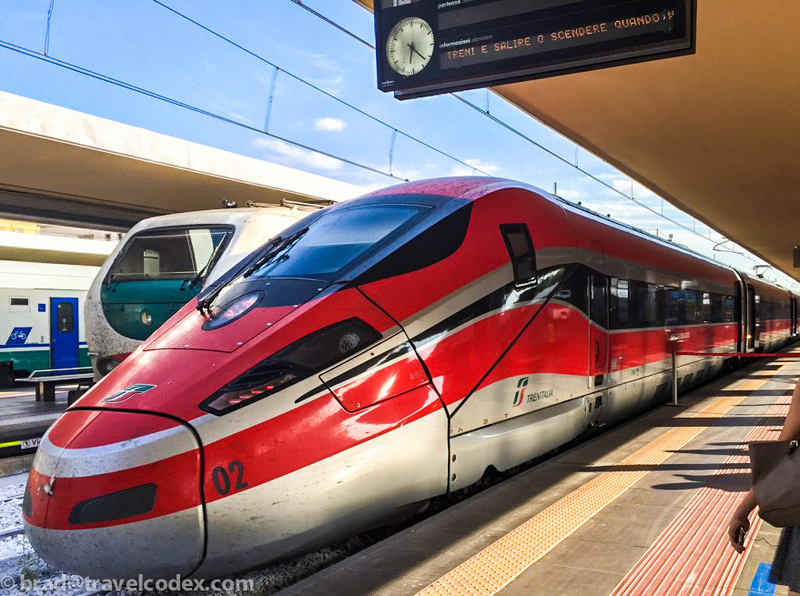 This is review of my trip on Frecciarossa business class between Torino and Trieste. I recently returned from a long trip in Italy that spanned most of 2 weeks. Having the weekend to myself, and while there is countless to see in Italy, I wanted to visit somewhere different. I decided to spend my weekend in Trieste, in the northeast corner of Italy, and make a day trip into Slovenia. Here is a review of my time in beautiful Piran, Slovenia. I could have flown between Torino and Trieste as well, but the options were slower than the train, and quite a bit more expensive. There are not any nonstop flights between the cities, and most connections were poor and in some cases overnight. A 5 hour train ride was much preferred. I decided to book this in business class for some more comfort and space. I bought my tickets about 2 weeks out, and the premium for this seat was minimal. It was about €85 for the ticket, maybe €15 more than an economy ticket. The Frecciarossa trains have 4 classes of service, Executive, Business, Premium and Standard. Executive has 1-1 seating, and a cold meal included. Business has 1-2 seating and a light snack and the choice of coffee or prosecco. 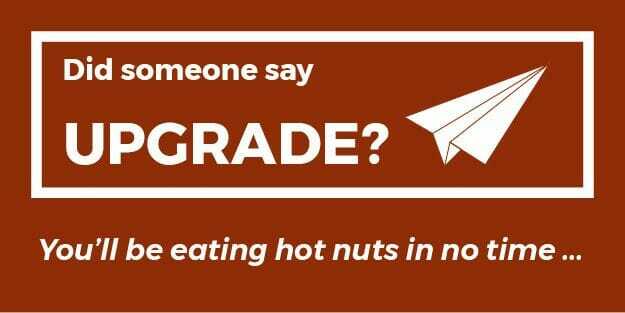 Premium and Standard share a 2-2 seating arrangement, but Premium passengers get the same snack as in Business. 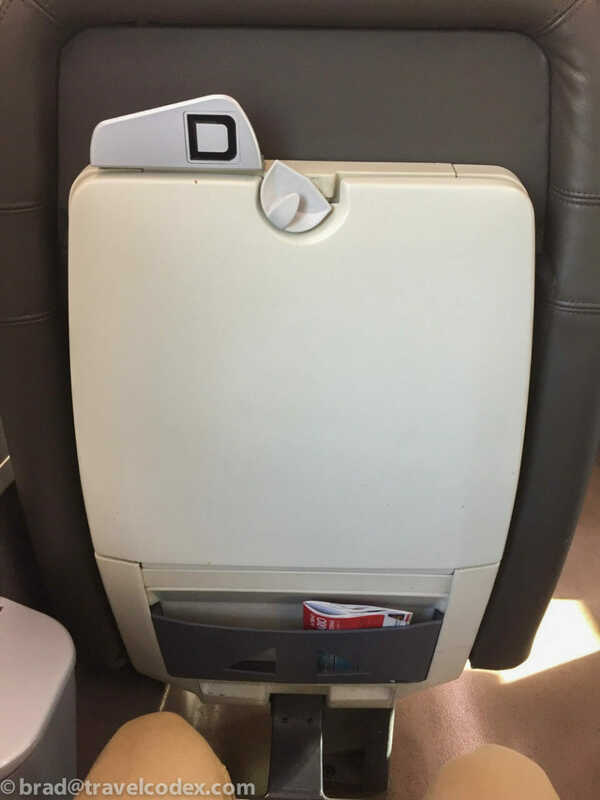 More information on seating options on Frecciarossa trains are available at Seat 61, an excellent site discussing train travel. There is free wifi available and power ports at each seat. The wifi portal has some streaming entertainment as well, but the selection is rather limited, especially in English. No problem, as I enjoyed my window view, and I caught up on work on my laptop. When I booked my ticket, there were quite a few seats open, and since I knew I’d be traveling alone, I opted for a business seat in the first train car, in the quiet section of the train (Business Area Silenzio). I had seat 14D for my journey, a single seat near the back of car 1, just behind the 8 seat Executive cabin. The seats are wide and covered in leather. I’d say it is comparable to a regional business class airplane seat, with good leg room. There is a footrest, and good recline, but it is more of a slide forward than leaning back. There is a power port at each seat, although in this version of the train, it only fits the Italian plugs, and my generic European power adapter (Schuko) did not fit. I encountered some plug incompatibility in Italy, but in most cases, especially in hotels, the plugs were more universal, accepting my adapter. Soon after departure from Torino, a conductor checked my ticket, and made a notation in his tablet. Once we arrived in Milano, most of the other seats in my cabin changed over. When another conductor came through after that station, my ticket was not checked again. I appreciated using technology being efficient. I’m used to US domestic trains which often require various paper tickets on seats to denote how far each rider is traveling. Soon after a conductor checked tickets, a trolley came through with a small paper bag of snacks. This included a bottle of water, some tasty breadstick type snacks, a piece of candy, and a wet wipe. Finally there was an offer of coffee or prosecco. Given the evening departure, I happily accepted the bubbly. While this was a nice enough snack, I knew that I wanted a more substantial meal, so I brought my own food on the train for dinner. There is a cafe car with hot food, but I figured I could do better on my own. Seemingly a fair number of passengers were commuting between Torino and Milano. We stopped at Milano Central for 15 minutes or so and most passengers in my cabin mostly exited. Then it mostly filled up with new travelers heading somewhere further east. There was also a second pass from the snack trolley, and another Prosecco. I’m admittedly a fan of high-speed rail. The Frecciarossa in Italy is a nice way to travel, especially in business class. For my needs, this is a much more efficient way for me to get across northern Italy than taking flights. I’d gladly take a train like this again, especially if timing is comparable to flights. Prices are certainly better, especially for the comfort of business class. Have you taken the Frecciarossa? What about other high-speed train travel in Europe or elsewhere?